Hey all, my second post. 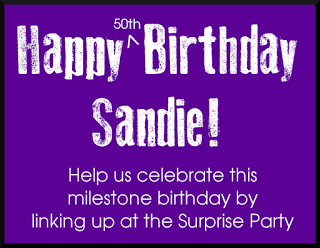 I just finished this card, and since I want to link it up for Sandie's birthday, I am posting it right away. 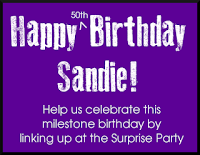 A very Happy Birthday to Sandie, hope your day is filled with happiness. Well Sandie loves purple, so the color theme is all purple. 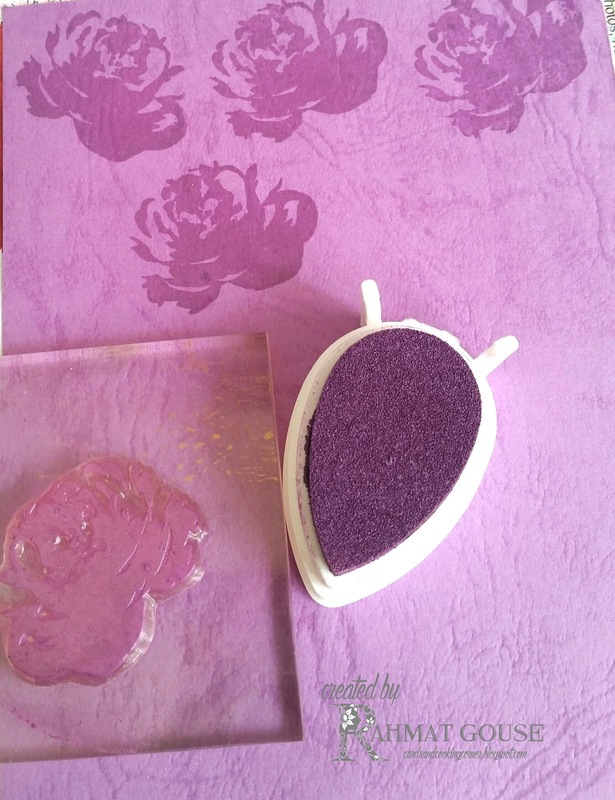 I chose the rose from AlteNew and sponged it in purple chalk ink from VM on a purple textured card stock. Then did some masking and stamped a rose and some leaves and a bud and fussy cut it to add. I added a shimmery purple paper lace and stamped the sentiment from Hero Arts - Sketched letters and the birthday is from HLS. I added the front using a foam adhesive, and finished off with some jewels. I have used Hero Arts Sketched letters for the sentiment. Such a beautiful purple card!!! Great job on your background! 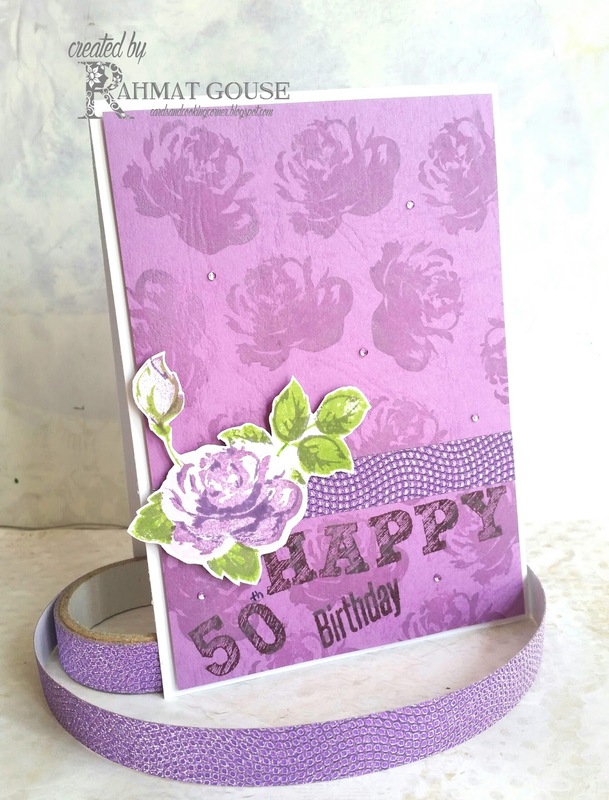 Beautiful Card dear..love the purples.. Very pretty - love the watercoloured look of your flowers! So glad you joined us at Muse this week! I love those roses used as a background, they look lovely. And a very fitting card for Sandie too. Gorgeous tone-on-tone stamping on your background and beautiful design, Rahmat! 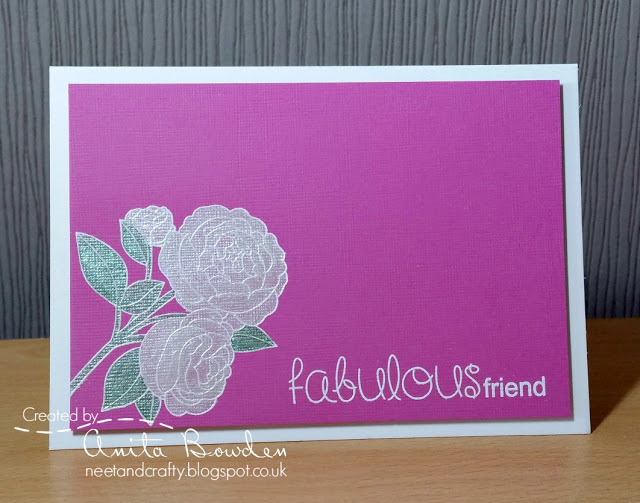 Such a lovely take on Anita's card! Sandie is sure to love it, too! Beautiful tone on tone stamping Rahmat! Sandie will lover this! Pretty Pretty purple card. Love it. Thanks for playing along Simon Says Stamp Flowers Challenge. What a wonderful tone-on-tone card! wonderful card! Thanks for playing along with the A Blog Named Hero challenge this month.